Isn’t it great to feel part of such a fantastic club? 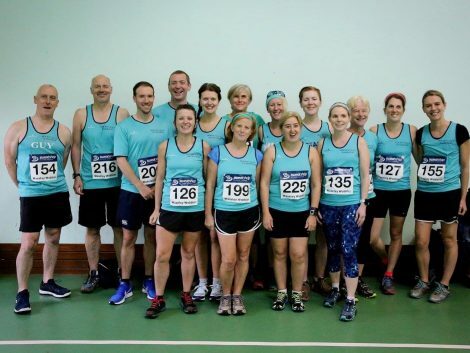 And don’t we all feel proud to wear our lovely teal vests and turn up to race with fellow BvHers? That was the feeling that lead to the creation of BvH ‘Teal Targets’. Opportunities for pub lunches or cafes after races! We know we can’t possibly capture everybody’s favourite race but we try to put together a selection of races to target which will provide something for everyone – the chance for pbs (personal bests) as well as pbs (pub beverages), road, multi-terrain, local races, a chance to try something new etc. etc. All runners receive 2 points for racing in an Teal Target event. The highest placed BvH runner (using runbritain rankings) gets 10 extra points, the second 9 points and so on. All entrants must have been a member of BvH for the preceding twelve months. All entrants must have a valid runbritain handicap score. All entrants must have their parkrun barcode linked to their runbritain handicap. All entrants must have completed 5 official runbritain races in the 12 months preceding the Teal Target event they have entered. This entry was posted in Race Reports, Teal Targets by BvH Admin. Bookmark the permalink. April – Stratford Half – if you don’t get into London! 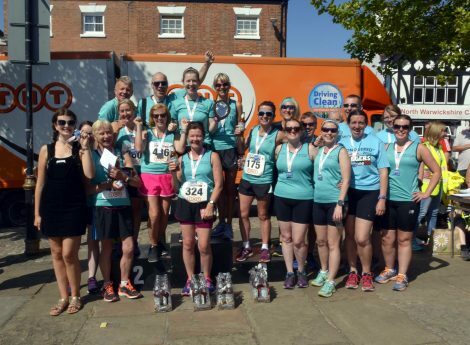 Think Teal Targets is a great idea, already entered the B’ham Half and will be at Sneyd too. Talking about sea of Teal, we had 19 at the Arrow valley midweek mudfest, more than any other club!! You are nowhere near middle aged yet, Barrie. My goodness, if you start getting to middle aged, I’ll have to start thinking about it myself. Fantastic idea :)) could the Wythall 10k and 5k be added to list ?? Next → Next post: BvH Records and Rankings – New System!